Schizophrenia is a severe mental disorder that causes a person to interpret reality in an abnormal manner. The root cause of schizophrenia is unknown, but many believe that it results from a combination of both genetics and environment. The symptoms associated with this disease can include delusions, hallucinations, disorganized thinking or speech, and abnormal motor behavior. Schizophrenia may also be associated with negative symptoms, such as the lack of emotion. Click here to begin your application for disability benefits. Schizophrenia is a condition that is specifically listed in Social Security’s Blue Book listings of impairments. In order for a claimant to be found disabled based on the listing requirements, they must prove that their condition meets or equals the requisite severity level of listing 12.03. Even if a claimant’s schizophrenia does not meet or medically equal the requisite severity level of a listing, they may still be found disabled based on the limitations that result from their condition. For instance, a claimant suffering from severe delusions and disorganized thinking or speaking may be unable to interact appropriately with the public, supervisors, and co-workers. A claimant suffering from auditory or visual hallucinations may be constantly distracted from performing basic work activities. These limitations, if severe enough, may preclude a claimant from performing any sustained, competitive employment. 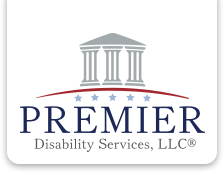 Premier Disability Services, LLC has extensive experience assisting claimants suffering from schizophrenia obtain their Social Security Disability benefits. If you suffer from this medical condition and you are unable to work, please contact our office for a free evaluation of your claim.